Check-in begins at 8:15 a.m.
People of all faith traditions and anyone else who care deeply about this beautiful, bountiful Earth and all living things sustained by it are invited. The conference will kick off with a keynote address by Rev. 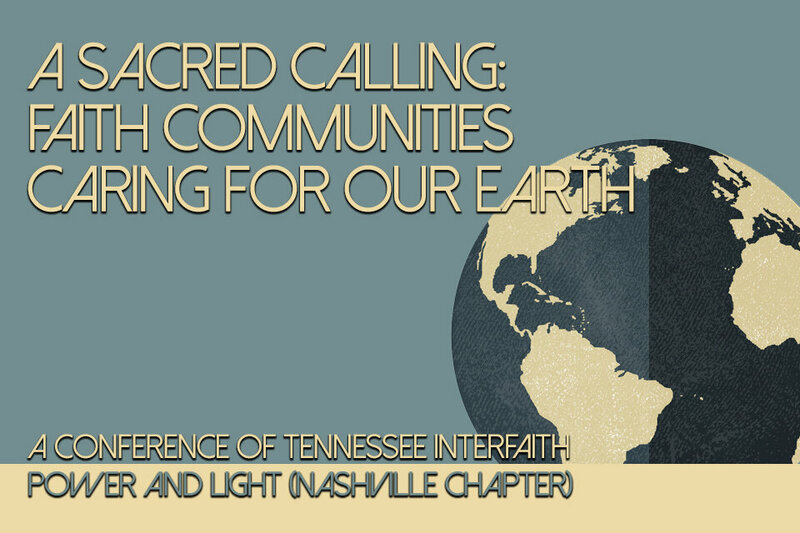 Fletcher Harper, Executive Director of GreenFaith, an international interfaith environmental organization. Three sets of workshops will then be offered throughout the day geared toward equipping and inspiring individuals to help their faith communities be better caretakers of the Earth. Many of the workshops will also be of value to persons not connected to a particular house of worship. Practical steps to make your house of worship more Earth-friendly, including: energy consumption; solar options; gardening; landscaping; meals; composting; recycling; purchasing practices; etc. Education and worship resources and models for all ages. How to impact public policy at all levels of government and earth care as a justice issue. How to establish a long-term commitment to Earth care in your house of worship. This will include how to have effective conversations that seek common ground and avoid polarization. Lunch will be provided by local caterer, Barley to Rise, and is included in the registration fee (vegetarian, vegan, and gluten-free options available). Child Care (ages 0-5): $5/child. To obtain child care, register by Wednesday, Oct. 4. There will need to be a minimum of five children signed up, for us to offer this. We are asking parents to bring food for their children because of allergy and other practical issues. We don’t want cost to prohibit anyone from attending. If financial assistance is needed, contact conference organizer, Rev. Paul Slentz at pslentz53@gmail.com. For additional information about the conference, contact Rev. Paul Slentz at pslentz53@gmail.com or Ms. Aimee Shelide Mayer at 615.760.1019. After providing information on this Registration page, you will be directed to a Store page to make payment by credit card or to find out how to pay by mail. While on the Store page, please consider making a $20 donation above the registration fee to help with scholarships and other conference expenses. This form is no longer available. It was closed for further submissions on 10/12/2017.